Megan Charboneau is a Los Angeles native growing up in Palos Verdes Estates. She began her real estate career at a young age, growing up working for her parent's real estate appraisal company. Megan prides herself on honesty, integrity and hard work. She is committed to helping clients achieve their dreams with performance, not promises. While paying special attention to each of her clients' individual needs‚ Megan's top priority is 100% client satisfaction. Nothing satisfies her more than seeing a successful sale or the purchase of a lifetime. 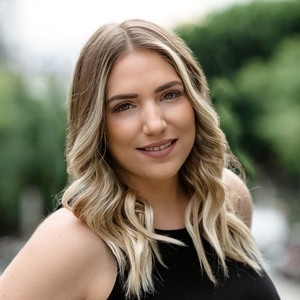 As a field and buyers agent on the Modern Living LA Team, Megan will be happy to formulate a plan of action, whether your goal is to sell your current home or purchase the home of your dreams.